Facebook is awesome. But the sheer amount of information it pushes towards you all the time can be overwhelming. How do you sift through them to find the gems? A few apps and sites are already doing that job for you. Some of the specialized tools are made by Facebook itself Did You Realize There Were So Many Facebook Apps? Did You Realize There Were So Many Facebook Apps? 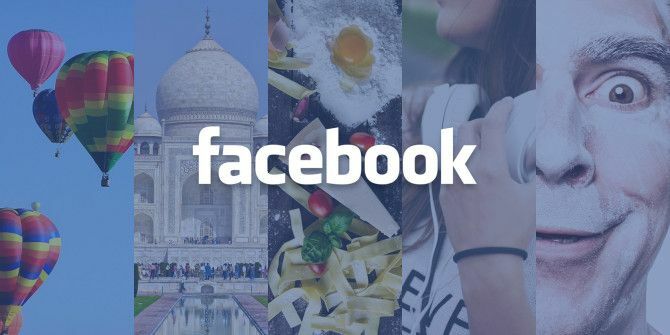 There are several great mobile companion apps for Facebook available that can help you stay updated, send fun messages, and connect in different ways. Read More to help you find stuff easily. Others are made by fans who just want to get to content without jumping through hoops. Whatever the motivation behind developing these apps and sites, you have to admit, they are super cool. 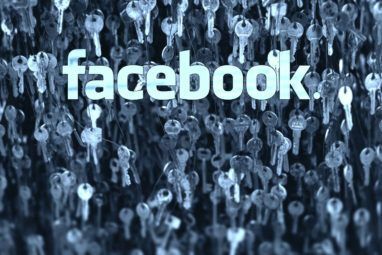 These are some of the best uses of all the information Facebook knows about you. Events has been a major part of Facebook for a long time, but recently, Facebook released a special app for it. The new Events app tracks all the things happening around you. The app will tell you about recent events announced by Pages you like, as well as those your friends are likely to attend. If you just want to find something to do, you can browse other events based on time, location, or interests. A simple map makes it easy to pan-and-scan to browse events. The Events app also has a neat calendar built in, so you can quickly find out when you are free and manage your Facebook calendar Best 4 Ways To Manage Your Facebook Calendar Best 4 Ways To Manage Your Facebook Calendar In this article, I’m going to show you four ways that you can make use of your Facebook Calendar. This will include how to export Facebook Calendar events to Output, how to export them to... Read More . Facebook Places is perhaps the most overlooked feature in the entire social network. It’s a nifty way to find somewhere to go in any city, no matter what you’re in the mood for. Users often check-in at locations on Facebook, as well as rate and comment about them. This means Facebook has a ton of data. Places takes all that data and makes it meaningful for you. You’ll find recommendations for where to go, based on landmark spots. These are divided by eat, drink, sightseeing, hotels, and shopping. Then there will be listings of upcoming major events in that city. Finally, you can see which places in the city your friends have been to. The “Popular Nearby” feature shows hotspots around the city, as long as you are willing to travel a bit. It’s one of the neat ways Facebook can improve your vacation 9 Awesome Ways Facebook Can Improve Your Vacation [Weekly Facebook Tips] 9 Awesome Ways Facebook Can Improve Your Vacation [Weekly Facebook Tips] Have you ever been on a vacation somewhere interesting only to find out later you'd missed some of the best destinations? Well, Facebook can make sure you never miss out again. Read More . In the recent past, you must have come across some delicious short videos on Facebook. Buzzfeed has been making sped-up recipe videos, which go viral and probably appear on your timeline. It is always difficult to find these videos later, when you actually are in the kitchen. Until now! The new Teeny Recipes website gathers all of these quick, tasty tips in one place, and tags them perfectly. Click a tag to browse all recipes in that, or search for something. Since Facebook videos can be embedded now, you don’t even need to log into the social network to see these. It’s a searchable, browseable archive of quick food videos 8 Cooking Websites With Video Recipes for Tasty Visual Tips 8 Cooking Websites With Video Recipes for Tasty Visual Tips Read More . If you don’t have a sense of humor about the world around you, you won’t be able to make it far. Lamebook is a repository of the funniest posts on Facebook, whether intentional or not. From epic fails and asinine comments to simple puns and witty one-liners, Lamebook has it all. Readers submit new content all the time, so it is updated every day with new content. If you don’t feel like going chronologically, click the “Random Post” button under any post. There are even categories to browse, like WTFights, personal problems, relationships, lamesters, and more. It’s one of the funniest sites on the internet The 15 Funniest Websites for the Best Humor on the Web The 15 Funniest Websites for the Best Humor on the Web If you're searching for the best humor on the web, then here are the funniest websites you should visit. Read More , and much easier than having to hunt for these yourself. 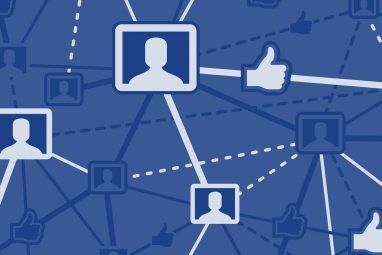 Over the years on Facebook, you have hit the Like button on the official Pages of your favorite musicians. You’ve probably also shared a few songs yourself. Well, how about an automated playlist based on all these likes? Hickery is a smart app that plugs into your profile, understands your musical tastes, and generates a playlist. 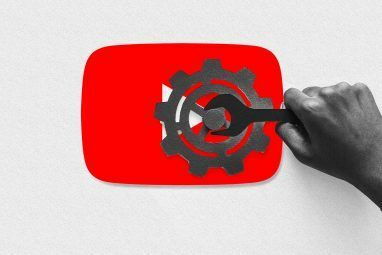 It’s a YouTube playlist of music videos These Extensions Make YouTube the Powerful Music Player You Need These Extensions Make YouTube the Powerful Music Player You Need While Apple Music and Spotify slug it out, YouTube remains the best destination if you want to stream songs for free. The only thing better is if you pair it with the right extensions. Read More , and it’s surprisingly accurate. The default playlist you’ll get on Hickery is a generic rubbish one. Forget about that. Click on your name in the top-right corner, then click “My Profile” to see the smart playlist we’re talking about. If you see from the screenshot above, that’s the playlist it generated based on the band Pages I like, which are Led Zeppelin, The Who, Pearl Jam, The Beatles, and Dave Matthews Band. It’s perfect. How Do You Wish to Sort Your Data? Facebook has taken some steps recently to customize and sort your news feed. But it’s not perfect and is still missing some crucial features. For example, you can’t get links shared by multiple friends, or only links from reputed news sources. How do you wish you could sort your Facebook data to find the things you’re looking for? Explore more about: Cool Web Apps, Facebook.